Bulging eyes, also known as proptosis is a medical condition in which one or both of the eyes protrude from the eye sockets abnormally. 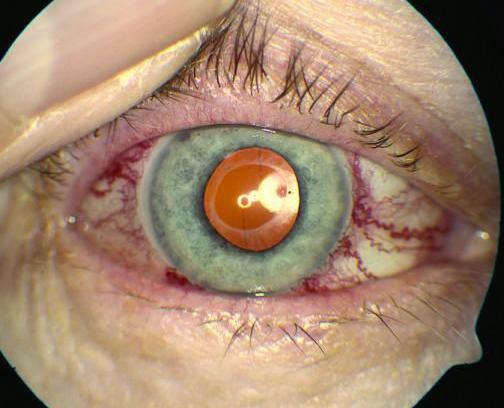 This is due to swelling of muscles, or tissues behind the eye (usually because of some other medical condition) which make the cornea protrude forward and exposing it to air. This can lead to excessive drying of eyes and can affect optic nerve and cause vision loss. Excessive protruding eyes which make it look abnormal. Constant dryness in the eyes and problems in keeping it lubricated for long time. Whiteness between top of iris and eyelid. Double vision due to weakening of eye muscles. Pain in the socket behind the eye. Graves’ disease or other thyroid complications. (upto half of people with this disease may suffer from bulging eyes). Other causes like tumor, blood clot, or an eye injury. Medications to decrease immune response. Orbital decompression: the eye socket is enlarged making more space for the eyeball and resulting in decreased pressure on the eyeball. Surgeries to correct abnormal eye muscles can also be done. Surgeries to protect cornea from external damage are also done.